Australian 4G LTE-Advanced outdoor router. MIMO 4G and MIMO Wi-Fi 300Mbps. Designed for use in remote areas. Provide Wi-Fi and Ethernet through 3G/4G mobile networks. Powered by <300-feet LAN cable. OpenWrt firmware inside. • LTE-Advanced 4G modem for use in Australia. • MIMO Wi-Fi with 25~27dBm booster. Covers 150~300 yards radius. • Wi-Fi speed is up to 300Mbps and supports 57 concurrent users. • PoE power over Ethernet. Support 48Volt PoE switches. • IP67 rated. Withstand extreme weathers & rugged deployments. • Guarantee 30-day money back. 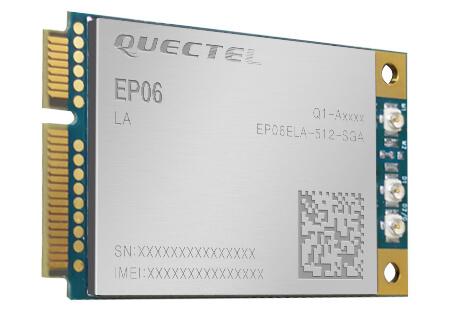 The Australian 4G Router uses Quectel EP06E mobile broadband modem which takes 2pcs 4G antennas and delivers 300Mbps downlink and 50Mbps uplink data rates. The LTE-A Cat6 broadband mobile modem is designed to use in Australia and also support roaming in Europe, Africa, and Asia. The cellular modem supports major mobile carriers in Australia. Besides 4G FDD-LTE and 4G TDD-LTE, it also supports 3G WCDMA mobile networks. The 4G LTE-A cellular modem is certificated by CE / RCM / GCF / Deutsche. * The SIM card is excluded. Support Australia mobile operators: Telstra, Optus, Vodafone etc. 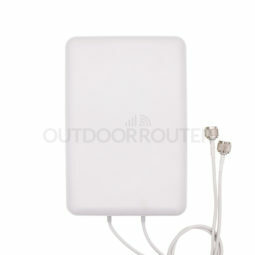 Integrated with 25~27dBm Wi-Fi booster, the Australian 4G Router covers up to 150~300 yards radius in outdoor open area. Complying IEEE 802.11b/g/n & IEEE 802.3u standards and 2T2R MIMO Wi-Fi technology, the outdoor MIMO router provides high-speed wireless speed up to 300Mbps. It accepts to connect up to 57 concurrent users to the Wi-Fi network. You can enable/disable Wi-Fi, hide Wi-Fi SSID, encrypt Wi-Fi hotspot, setup firewall, and filter MAC address for the Wi-Fi network. The Ethernet (LAN) connection is also available. Powered by PoE (power over Ethernet), you only need one LAN cable for both power and data. Supports 802.3af/at PoE standards, you can power up the outdoor router with 48Volt PoE switches over as long as 300-feet LAN cable. The default 48Volt PoE injector and 30-feet LAN cable are included in the package. Ideal to deploy in rural areas such as the park, coast, camping site, construction site and outdoor events of the golf course, outdoor concert, flea market, and business summit. IP67 hardened industrial-grade aluminum alloy case enclosure the 4G Outdoor Router to withstand extreme weather conditions and rugged deployments. The outstanding metallic case could protect the 4G router from dust and capable of withstanding water immersion above 3-feet for 30 minutes. The physical LAN interface has assigned to the same RJ45 port as PoE port in the default settings of OPLK1903 firmware. You can change the interface assignment at physical settings of LAN interface. In OpenWrt firmware version v15.05, the default WiFi master SSID will be deleted after connected to another Wi-Fi hotspot via the Wi-Fi relay function. So when turning on the Wi-Fi relay function, make sure add another Wi-Fi master SSID. i. Click Scan on the Wireless Overview section, the router will start to scan for nearby Wi-Fi networks (2.4G only). ii. Input WiFi password in the “WPA passphrase”. Choose default settings in the other sections. Then click Submit. iii. Back to Network / Wifi to add a WiFi master SSID. Because the default WiFi master SSID has been removed after added a WiFi relay hotspot. Enter your WiFi SSID name on the ESSID, and choose Access Point mode. Make sure select LAN on the Network section. Then click Save & Apply.